The more a company puts their emphasis on elaborate packaging, the more guarded we get in our excitement about what’s actually inside the bottle. It’s hard to think of a more elaborate packaging for a vodka than the one for Beluga’s Gold Line Noble Vodka. The bottle of vodka comes encased in a bound leather box along with a small mallet and brush to break the wax seal on the bottle. Under the wax seal (which is an absolute mess to deal with) is a champagne-like mesh metal tie holding the cap in place. You have to go through a lot of effort to open this bottle of Beluga. The bottle itself has a hand stamped (with a limited edition number) metal label with a metal sturgeon affixed to it. Beluga Gold Line Noble Vodka (40% / 80 proof, $199) puts itself in the ultra-premium/luxury vodka category. It’s a space occupied by only a few other products. 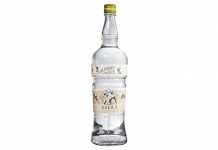 Like most vodkas, Beluga is made from grain which is naturally fermented and then distilled. The spirit is combined with water from Siberian artesian springs that undergoes additional filtration, and silica sand and silver purification. It is then combined with milk thistle extract, oat extract, honey, vanilla, and sugar syrup. It’s rare for a company to disclose what else is inside their bottle of vodka, and so it’s refreshing to see Beluga being completely upfront about what they use. After the spirit is diluted and ingredients are added, it’s rested in tanks for 90 days before it’s filtered and bottled. The big question is, of course, with all this pomp and circumstance, does the vodka deliver? Surprisingly, the answer is a resounding YES. The nose of the Beluga Gold Line is the smoothest and softest nose we’ve ever experienced on a vodka. 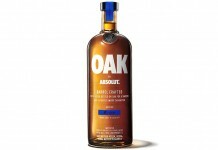 It’s amazing to think that this vodka is 40% alcohol. There are subtle vanilla and citrus notes to the nose, but absolutely zero vapors. You can put your nose deep into a glass of Beluga Gold Line and still not get any burn. The entry is simply exquisite with a soft and round mouthfeel that envelops your palate. The opening is light powdered sugar, honey, and vanilla. Things transition in the midpalate where a light lemon note emerges and mingles with a clear grain flavor. 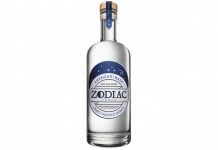 Toward the end of the midpalate we get the suggestion of some spice, but it isn’t until the finish that we get the signature pin prick that is the mark of very fine Russian style vodka. The contrast between the lush, soft opening and the sharp, pin prick spice on the finish is superb. Beluga Gold Line Noble Vodka absolutely impressed us and transformed us from pure skeptics to absolute believers. Take all the packaging away and you’ve got a stellar sipping Russian vodka. When you add all that packaging, you’ve got an ultra-premium that delivers on its extremely high price tag. Beluga Gold isn’t for everyone, but that’s sort of their point. 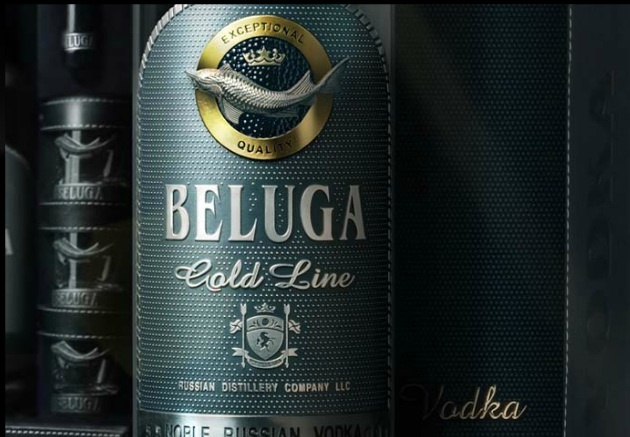 If money is simply no object and you want a vodka that is going to deliver on its ultra-premium promise, it’s hard to think of doing better in the vodka space than Beluga Gold Line.